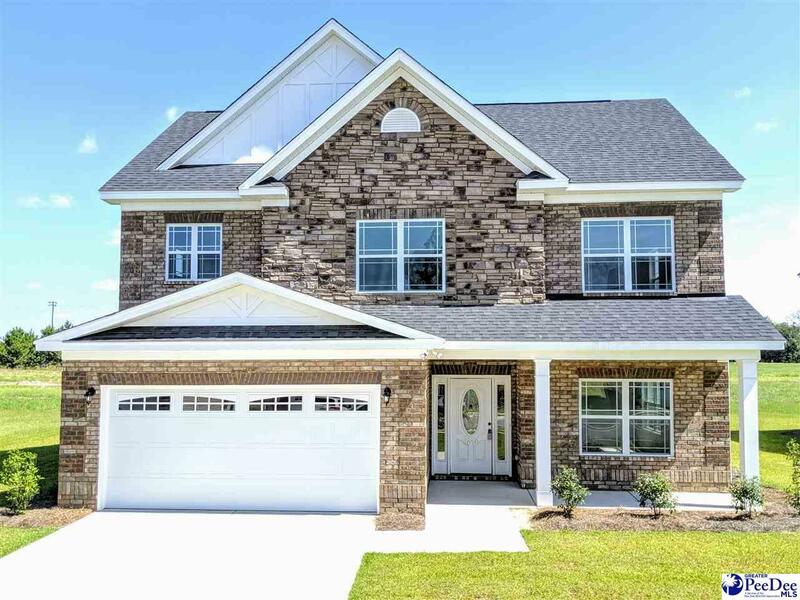 Plan: Brunswick II- 4 Beds/2.5 Baths/2 Car Garage. This open floor plan has both a living & dining room. The large eat-in kitchen with breakfast peninsula, which opens to the family room, features stained cabinets, recessed lights, and granite countertops. Master suite downstairs has bay windows, trey ceilings, and includes private bath with double vanity, soaking tub and separate shower. Huge walk-in closet. Large Laundry downstairs/mudroom. Loft with balcony that is open to family room below. Call Today for more info, a showing, or to build your own Hurricane home in this neighborhood.